Why do cats love laying on boxes and luggage? This time, she is on my paint box. Although the trees are starting to bloom, there’s still a chill in the air. 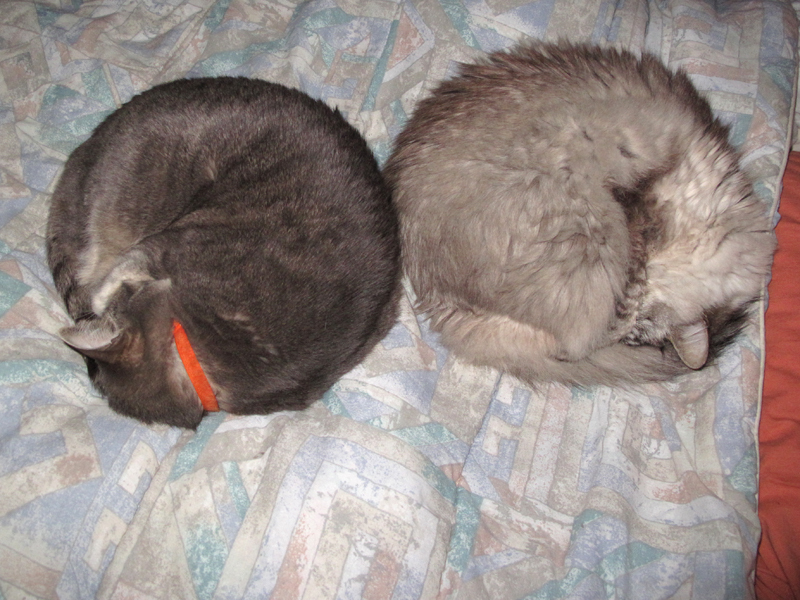 The cats roll up like sow bugs to keep warm. Charles Schultz once said, “Happiness is a warm puppy.” Can I add warm cats to that? 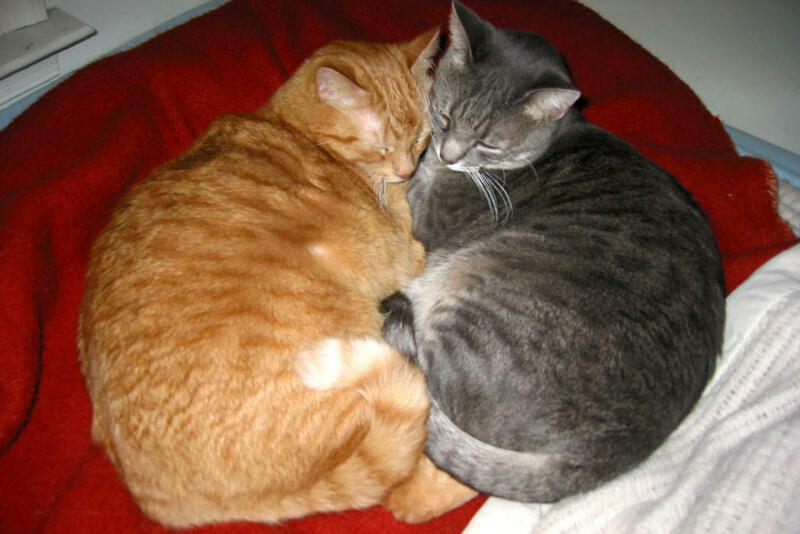 Introducing my cats – BooBoo (left) and Mac (right). BooBoo likes to play hide (and seek), especially when a stranger comes over. But he is a soft loving hug when everything’s back to normal. Mac is truly user-friendly. Named aptly because when he was a kitten, he’d sit on my lap and look at the screen whenever I was surfing on my computer. Plus, he is friendly to all, even to new comers.